We’ve prepared a prime spot for you at our online casino, where only the best will do for our happy players! Everything about our online casino is first-class: our games, our security, our customer support and our ability to pay out incredible rewards! So maybe the month of love wasn’t good for you, but we’re here to help you turn that around by giving you a loving 1000€ Free bonus! This spam example has the same M.O. as the Reel Vegas/Royal Vegas Online Casino Spam Example. The spamvertised website is mainly the host for the online casino software downloader. Nearly every link on the website pointed to an executable file called sevenstaren.exe. 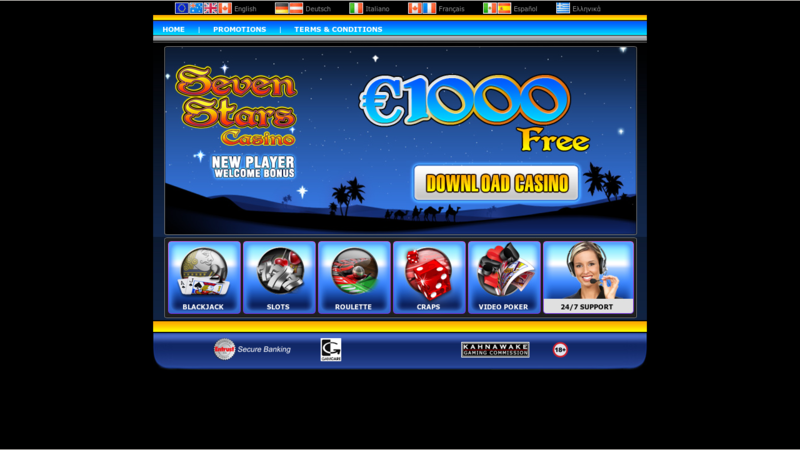 It downloads the 7Sultans (note that it is not Seven Stars) Online Casino gambling software. 7Sultans is also a member of the Fortune Lounge Group (just like Royal Vegas). So the we raise the question once again, is this the work of a FortuneAffiliates affiliate. One of the big reasons our online casino is preferred above the rest is because we can prove just how many winners we’ve had, even on a weekly basis! Take your 1000€ Free offer at our casino and turn that grand into an even grander winning streak! The origin of these e-mails are purely academic, but each one leads to a spamvertised online casino website, acting as a host for an online gambling software downloader. In each case the actual software belongs to an online casino that's a member of the Fortune Lounge Group. It is interesting to note that the name of the online casino advertised on the spamvertised site, is never exactly the same as the actual online casino, but it always has a close resemblance to the name of the actual online casino.